Isthmian League Premier Division. Saturday 17 March 2018. A 10:30am pitch inspection was carried out at the AGP Arena this morning. 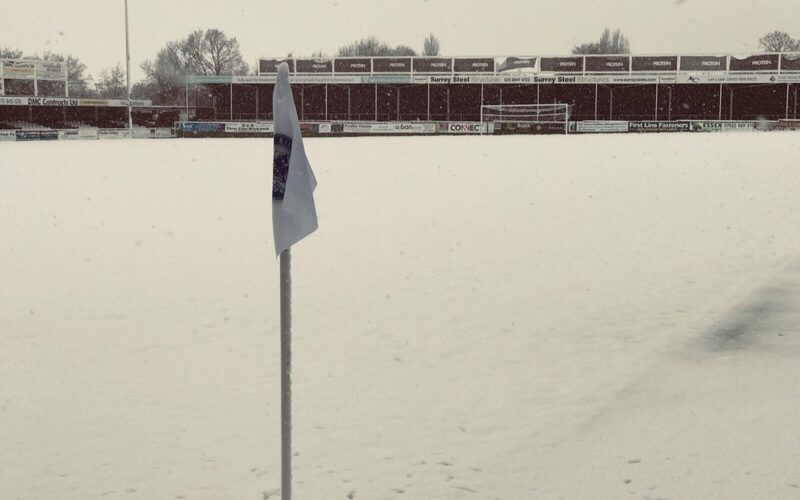 With the rain and snowfall over night the pitch, and the Met Office predicting it to carry on for most of the day, it has been decided that today’s match will be postponed. The rearranged fixture will be announced once it is known.